All of the sessions will be held on the Lugano Campus of USI. 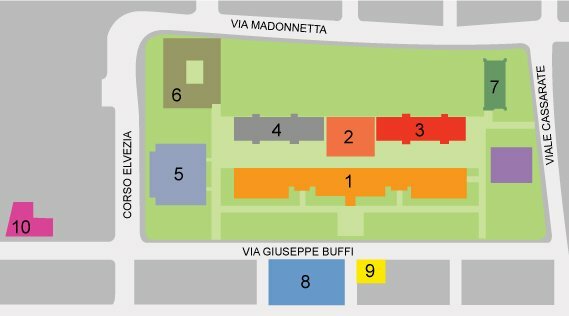 All parallel sessions will take place in the “Palazzo Rosso” (Red Building). It has 12 class rooms with between 30 and 100 seats. All rooms are equipped with state-of-the-art facilities for conferences. The Plenary Sessions, Keynote lectures and the General Assembly will be held in the Auditorium, which is located in the Main Building (third floor). Finally, coffee breaks and lunches will also be held on campus. The University hosts a cafeteria with a capacity of up to 250 persons. Additional indoor space is available in the adjacent corridors. Weather permitting coffee breaks and lunches will be held outdoors.